Bremshey treadmills come with a full 2 year on site manufacturer's parts and labour warranty which is about the average for treadmills in this price range, although the experience of our reviewers using Bremshey's customer service found them excellent. 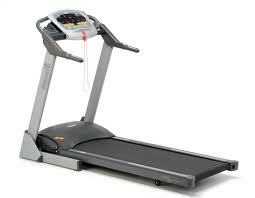 Bremshey treadmills are made by Bremshey Sport, a part of Accell Fitness. Accell Group is an international group of companies active in the design, development, production, marketing and sales of innovative, high-quality bicycles, bicycle parts and accessories and fitness equipment.